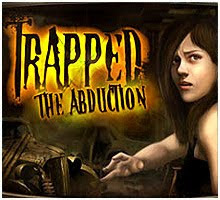 Trapped: The Abduction is a hidden object adventure based on the capture of a young woman by a psychopathic killer, and her efforts to escape his sordid den of booby-trapped rooms, gruesome mannequins, blood-stained medical equipment and assorted filthy odds and ends. The protagonist, Helene, is kidnapped and taken to an unknown location in the boot of a car on a dark, rainy night. She escapes from the car, only to find that she's trapped in a bizarre building with no apparent connection to the outside world. Thus begins a cat-and-mouse game of the worst kind as Helene tries to escape while her captor, a man in a black cloak, indulgently watches her on a bank of CCTV screens, taunting her on as she clears each macabre hurdle. From his words, its clear that she's not the first to be at the mercy of his crazed mind. At the start, Helene cannot even remember her own name. Worse, when she was unconscious, the kidnapper removed some of her teeth and took an X-Ray of her head. But the game gets really creepy when Helene discovers a video tape - apparently made by her - that indicates that she's been locked in here for much longer than she'd thought, and that she'd tried to escape before... and obviously failed. Sifting through methodically ruined rooms, Helene finds evidence of her mother having been trapped here as well, and personal memorabilia such a photo of her father. What had previously appeared to be a random crime now seems well planned, with a motive possibly even worse than perverse entertainment. 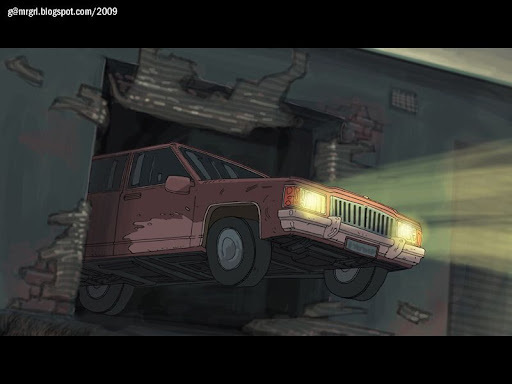 Helene's aim is to repair a car and escape, and if possible, collect evidence to explain the kidnapper's history and her capture. But getting past the seemingly endless chambers of horror is not easy, and her frustration and agitation often threatens to overwhelm her, for example, when she wishes she could smash him with a sledgehammer instead smashing a suitcase lock. As a heroine, Helene is sophisticated yet sassy, often giving off a Rachel Green (wiki) vibe from the Friends series with her urbane voice and mannerisms. Her initial shock and outrage at being kidnapped quickly changes to horror as she explores the strange building, and eventually settles as a cold terror in the pit of the stomach as one disturbing fact after another tumbles out of grisly closets. But Helene's no pushover, and her presence of mind truly wins you over as she rationally works through the puzzles with the gritty determination to escape... this time. 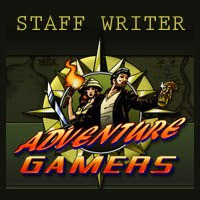 The game kicks off with an interactive tutorial that is self-explanatory and clear even for newbies to the genre. The basic game-play encompasses two distinct activities. Each screen (room) starts with a general hidden object search. These random objects (such as a tombstone in the kitchen) are described by the kidnapper as part of his scheme to tease his captives. Part two of each screen, the specific object search, involves items required for the inventory puzzles to escape the rooms. The screens have sparkling hotspots marking interactive areas, and an easy-to-use inventory lists and displays useful objects as Helene collects them. Some objects are found only by locating and using other objects, which increases game-play difficulty, though overall the game is quite intuitive. The inventory puzzles require engineering various devises such as light systems, furnaces, elevators and televisions. The game-play does get a bit monotonous due to activities that offer little in terms of variety - turn power on / off, search for keys and doorknobs, plug in appliances, fix taps, and so on. 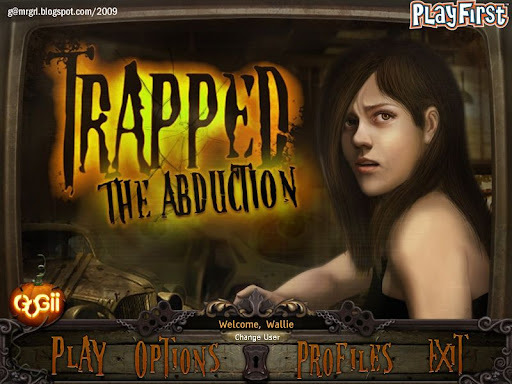 But with 30 unique locations, Trapped is one of the rare HOGs that doesn't repeat screens, and this keeps the player riveted despite the slow middle segment. Some rooms also have special items, which Helene collects and stores in her backpack - items that provide her clues to her own situation, a large number of parts for her getaway car, and some evidence leading back to the kidnapper for use by the authorities. The developers have invested a lot of effort to balance the taut storyline with a game length that doesn't feel 'too short'. And they've succeeded - Trapped is a game that stays with the player long after the objects have been found and puzzles have been solved. The visual detailing of Trapped is top of the line. The art is crisp and professional, and the cliparts are well-blended into their surroundings without being obscure. A vast clipart repository keeps the game from being repetitive and familiar, another big deal. Grotesque body parts and mannequins, along with innumerable other unpleasant knick-knacks, create an atmosphere of death and decay even in the absence of in-your-face blood and gore. The only drawback, due partly to the game's concept, is the drabness of the screens, which are primarily a dusty brown. This makes them blend into each other and eventually creates mild boredom. But that's a nitpick given the quality of art and the effort put into making each screen unique despite being similar. 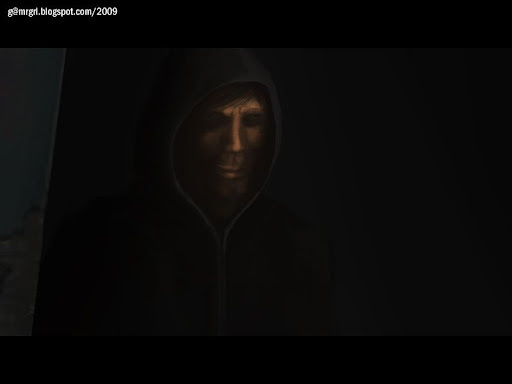 The cutscenes are ordinary by comparison, and only serve the purpose of providing interludes between levels. The music of Trapped plays a subtle but effective role in building the game's creepy ambiance, ranging from disturbing to urgent. The sound effects are situational - glass breaking, wires sparking, and so on. A few well-placed screams provide the guilty pleasure of cheap thrills. Helene's city girl voiceover is well-suited to her persona, and adequately expresses the entire gamut of her emotions. The kidnapper's menacing growl / leery sweetness, though, is comic-book and overdone. The script is average, and the kidnapper in particular has a very limited set of phrases. Conversation is kept to a minimum, just enough to move the story forward. The subtitles are well-synced with the voiceovers. The story of Trapped is unusual and compelling. It hooks you in with its quiet menace and the disquieting awareness that it may as easily be reality. Helene's cold competence in the face of death elevates the game beyond puzzles, to the domain of a true psychological thriller. It's, simply put, like watching a movie. 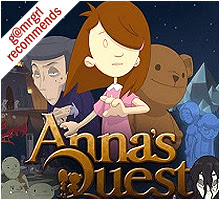 A definite weakness is the slow middle portion of the game, which drags with similar, drab rooms and lack of distinct activity. This drains the game of the tension built up by the eerie storyline, and often makes it an exercise in tedium instead of an edge-of-the-seat thriller. Things pick up towards the end, with Helene's backpack rapidly filling with evidence - only to end anti-climactically, without answers or closure, obviously setting the title up for a sequel. Which isn't such a bad thing, in this case. a few typos - your instead of you're, too instead of to, etc. 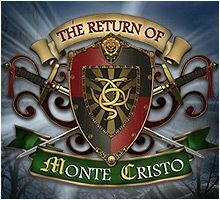 The Return of Monte Cristo is the sequel to the hidden object adventure, The Count of Monte Cristo, based on the novel by renowned French author Alexandre Dumas. It's 1854, and the Count of Monte Cristo, Edmond Dantès, is settled in Spain. He receives a letter informing him that the investigation of his fiancee Mercédès' murder in 1814 has been closed without resolution. Unable to accept the conclusion, Dantès returns to Paris to solve the case himself. A search of Mercédès' mansion leads Dantès to private investigator Louis Decart, hired by Mercédès, who suspected that her life was in danger. Decart tells Dantès to search for her diary to access possible leads. While Dantès doesn't find the diary, he does find a page from it that mentions a ring with three snakes, and a gendarme, Rudy Villefort, who was spying on Mercédès. Following the lead to the Bastille, Dantès discovers evidence that Villefort was paid illegally for 'unsavory businesses'. The trail leads him to Manu Dangler's corrupt bank in Notre Dame, and from there to the abbey of the evil Father Jean, a friend of Dantès' arch enemies, the Mondegos. The game follows Dantès' search for the murder weapon - a dagger - and other clues that eventually lead to the imprisonment of the guilty. 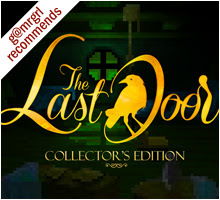 There are no surprises in terms of a whodunit despite the absence of a backstory linking this game either to its predecessor or the original novel. 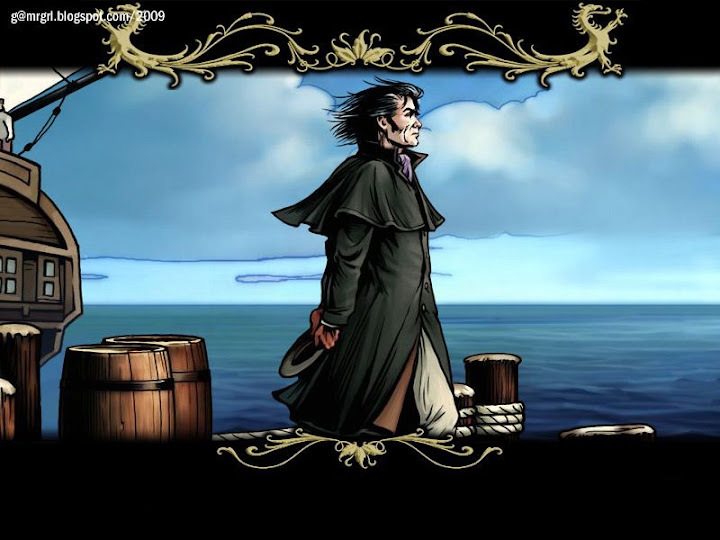 The culprits are revealed during the course of Dantès' journey, and remain mere names and images without motives unless the player is already familiar with the story (wiki). Thus, unfortunately, an extremely powerful story is reduced to an uninteresting sequence of events, and it's impossible to empathise with, or even relate to, tragic hero Dantès. The story is broken up into broad chapters based on significant milestones of Dante's investigation. There are 20 unique locations, some visited more than once, all littered with objects that are generally unrelated to their settings - in nature, and position. The locations are standard - rooms, cemeteries, churches, cells - nothing that hasn't been seen many, many times before. Objects to be searched are boring and irrelevant - wrenches and hammers and pineapples and safety pins and such. The same clipart is repeated screen after screen, and eventually, it's just tedious. When scenes are revisited, previously located objects reappear in searches, making the game even more repetitive. Some screens have 'interactive items' that are revealed using one or more onscreen objects with each other. The technology is in place, but few items integrate into the storyline, thus wasting the concept. The game is interspersed with puzzles including jigsaws, mini-logicals, sliders, pipes, gears, and shape recognition. The difficulty veers from extremely easy (shape recognition, safe combination), to challenging (sun & moon grid, gem rotation). The puzzles are interesting and effectively break the monotony of the object searches. In another positive, the game is short and the pace is crisp - Dantès doesn't waste either time or words. Interrogations and evidence discovery proceed logically, and bring the game to a satisfying conclusion in a procedural sense. The screens are average in design and graphics, compared to the quality on offer at the moment. 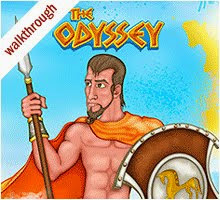 The clipart is dull and uninspired, which is truly a regret because this game is about the objects, and had enormous potential given the period it's set in. The rudimentary animation fails to enhance the visual experience. The puzzles, in contrast, are well-designed and vibrant, as are the comic-book transition screens. The sound effects are routine - crows cawing, bells clanging, clocks ticking, ghosts sighing, and so on. The music is suited to the morbid ambience, but is borderline annoying, and never rises beyond functional. 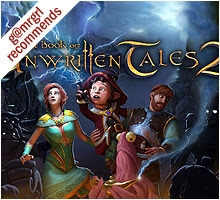 Though I hadn't played the original title, I started this game with a lot of expectation, because the story itself provides ample scope to make an in-depth, captivating game. I was disappointed with both, the cursory inclusion of the story, as well as the production quality. It's an ambitious project that seems hastily executed, and that's a pity. Hopefully the developers will step up their game with their next offering!